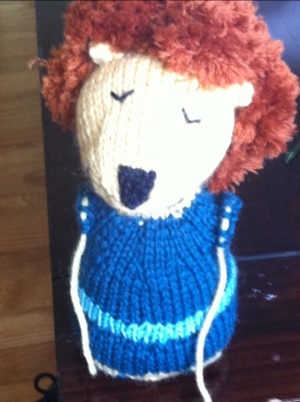 Here’s the progress of the toy I’m knitting. (See my This Week I’m Knitting page for details. I deviated from the pattern just a bit and made my own little character. I decided on a little lion. I’ve completed the head and I’m almost done with the body.